Welcome to Kassis Karate Academy, traditionally and internationally known by our Japanese name: Shitoryu Karate-Do Australia Shitokai. We are recognized as one of Australia’s leading karate schools in Melbourne Victoria, renowned for our highly successful program in technical, physical and mental development in people. Every day we inspire children and adults of all ages through karate in Melbourne. Our program is designed to develop not only the body and mind but also one’s character, through fun yet practical sessions and fundamental teaching methods. Our school brings you the benefit of 30 years of traditional, authentic karate at its core, with a modern and fun method of delivering the syllabus to our students. 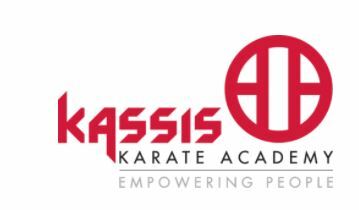 Kassis Karate Academy offers a perfect combination of high quality knowledge and experience, coupled with friendly teachers, to fulfill the requirements of its valued members. The key trainers are internationally acclaimed instructor Con Kassis and former Australian and International champion Rosanna Kassis. Individually they are high achievers in the world of Karate. Together they are a formidable team, unequalled in terms of the level of knowledge and experience offered. They teach and train karate lessons in Melbourne with their team of skilled instructors and assistants. Con and Rosanna primarily teach at the school’s headquarters in Tullamarine and also at Cairnlea. Other branches taught by our own qualified karate instructors include Deer Park, Gisborne, Keilor Downs, Riddells Creek, Romsey and Strathmore. Associated clubs are also located in NSW, Queensland and Western Australia. 9 times Australian Champion James Giuliano, taught by instructor Con Kassis since the age of 8! Our mission is to bring the best quality karate tuition to the community, through our karate classes in Melbourne. Because the instructors at our academy are high achievers, we want to empower others to be high achievers. We seek to do this through self-defence classes run by qualified and knowledgeable instructors, in a friendly environment, that emphasizes character development. Our karate school in Melbourne aims to bring value to people’s lives, which in turn brings value to their family environment, their work and the people around them. This is a valuable thing for society. We love to help people within our community develop life skills through our karate lessons. Parents bring their children to our Melbourne karate lessons, in most cases to find a way to help their kids learn how to stand up for themselves throughout their school years – both physically and emotionally. For this reason karate for kids in Melbourne is becoming very popular. More and more parents are realizing that long-term karate training is proving to be the best investment for their kids. Kids benefit by acquiring valuable skills that will last well into adulthood. Parents In turn benefit, gaining peace of mind knowing that their child is learning the valuable art of self-defence. What they are learning is strengthening their character, and can one day get them out of a difficult situation. This is reassuring to any parent. It’s not just young kids that benefit from karate lessons. Teens are also reaping the rewards by developing self-esteem through our Martial Arts Melbourne classes. Adults are finding it to be a very rewarding activity too. Whilst the kids are doing it for fun, the adults are doing it as a form of fitness, and as a stress outlet. Whatever the reason, karate continuously proves to be a beneficial activity for absolutely anyone. More and more people are joining our karate classes in Melbourne, because we are opening the door for them to do something fulfilling, and reap the rewards that karate has to offer. No wonder we have such a high referral rate within our community!